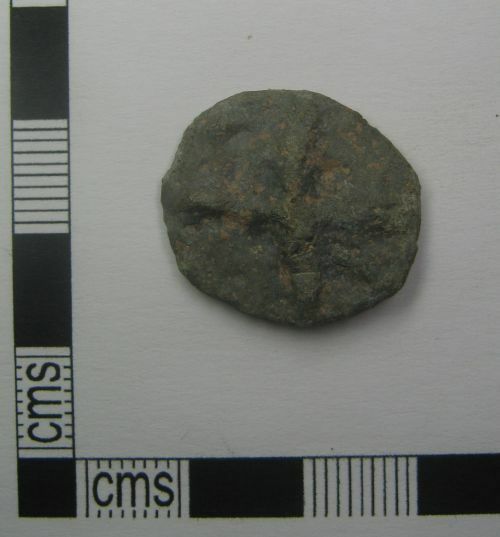 A complete lead cast token of probable post-medieval date. The crude uniface token has a simple cast pattern of a cross (Powell Type 14). The token is sub oval in shape and grey in colour. The token weighs 9.23g. The thickness varies from 2.6mm to 2.8mm. The token is 22.8mm long by 20.0mm wide.